Each week President Anderson sends a letter to each of the missionaries – including the Seniors. Each week it gives directions and encouragement for the week ahead. Here are a couple of the stories from missionaries that he shared this week…as we would say in South Africa…We are winning! This entry was posted in Fort Lauderdale Mission on March 28, 2012 by Bill. 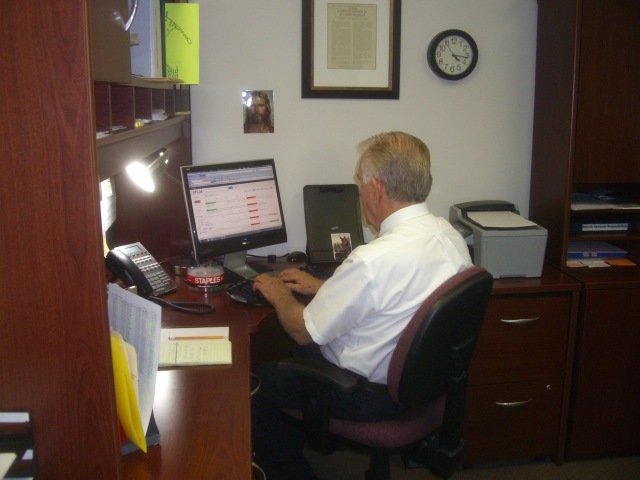 Elder Beagley working away at his computer as Vehicle Coordinator. Sister Beagley teaching Mary to enter baptism records. Since both actions were taking place in a corner I could not find any place to stand to get their faces and I did not want to say ‘turn this way and smile.’ I wanted to show them actually doing their work. The week was pretty much like any other week. We continue to learn how to be Finance and Mission secretary as well as continuing in our other office duties. Mary is also learning how to enter baptisms and confirmation records. Elder Stemile is being very patient with me as I stumble my way through learning his very exacting job. Finances is one area where the Church keeps a very close eye and if anything is not just so, an e-mail comes in asking what is up. However Salt Lake is also very good and patient about helping with any problems that come up and is never further then a phone call away. Tuesday we went to District meeting and as always it was one of the highlights of the week. The district is struggling a little with getting baptisms but in other areas it is doing well. They set some new goals and committed to doing better. They are a great group of missionaries and as long as they do not get discouraged they will do well. It is really a privilege to be able to be part of their district. Elders Smoot and Plowman have a bonding moment. The love that missionaries have for one another is so amazing. 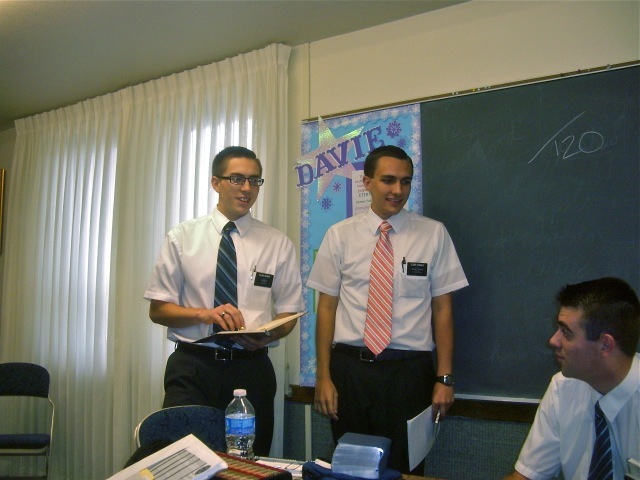 When they get together for conferences they just want to visit with their former companions and those they were in the MTC together. 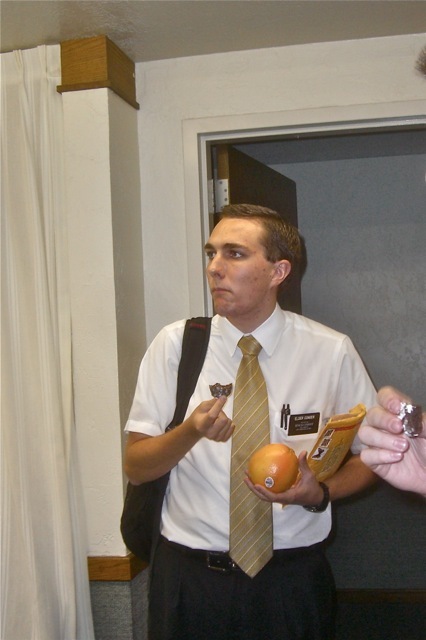 Elder Conger has chosen to eat delicious homemade cookies and save his healthy orange for later. I know it looks like Elder Beard is trying to teach Mary a dance step but that was not the case – at least I do not think it was. Wednesday evening we went over to Weston and met with brother and sister Workman to talk about the list of less actives that the ward is trying to reactivate. In PEC it was mentioned that between now and the end of June the ward will lose 37 active members who are moving out because of their jobs. This is one of the problems the ward always has but that many moving in such as short time is unusual. Brother Workman is the HP group leader and between him and sister Workman we learned a lot about the members that should help us when we visit them. I mentioned some suggestions on how a couple of them might be asked to use their job skills or hobbies to teach the young people some time. Everyone likes to share the things they are good at. I took the picture with Mary so I could get the wall sculpture behind her but of course she is the best part of photo. The last one is another shot of the fountain at night. I steadied the camera against the building while the camera took 10 seconds or so (a lifetime when it comes to taking pictures) to capture the scene. 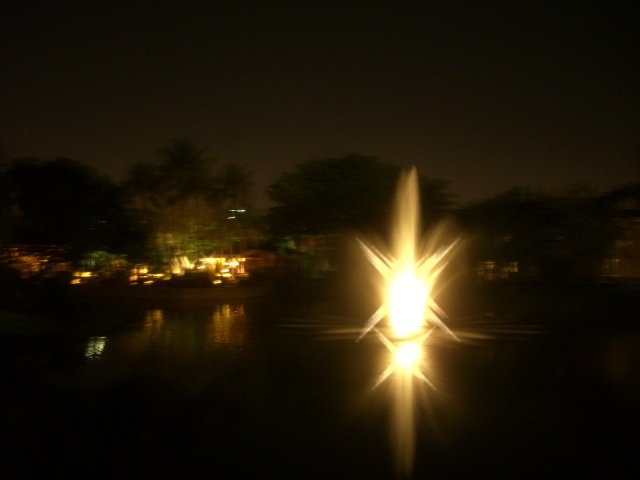 The individual parts of fountain turned into a solid bright star. Friday night we splurged and went out to Red Lobster for dinner. It was good food and as usual we brought home about half so we will eat well tomorrow. However the cost of the meal was about what we were allowed to spend in South Africa for a food order that fed a family of 5 for a month. I know that we should not think of it that way but it is hard to live so well and not remember those who lived spiritually well on a lot less. It is probably time to increase our fast offerings. During the week we learned that one of men who was a fairly recent convert when we arrived in Richards Bay was called to be branch president in January. Also this week saw the Blackburns being released and coming home after two years serving up in Swaziland. Their replacements got two days of orientation and then were left to their own devices. The Lord will bless them and they will soon come to love the people as much as the rest of us do. I had a good chat with Travis Richey who is getting ready to be deployed to Afghanistan in the middle of the year. It is something he really wants to be part and we will pray for his safe return in April 2013 – I told him that we will have to plan to get together since we will be coming home in April also. The weather continues to be wonderful with almost no rain to speak of this week. Lots of blue skies and temperatures in the high 70s and low 80s – perfect weather. 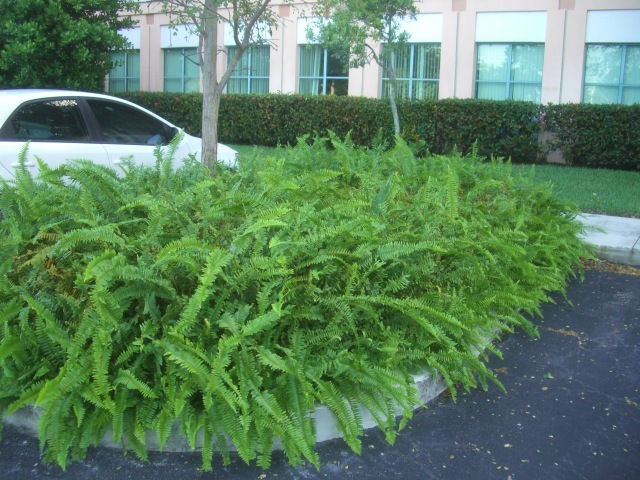 This huge Boston fern is just outside our office building. If it was not confined to a planter it would probably take over the world. Extra parking at the Stake Center where we go to Church is on grass strips across the back of the lot. 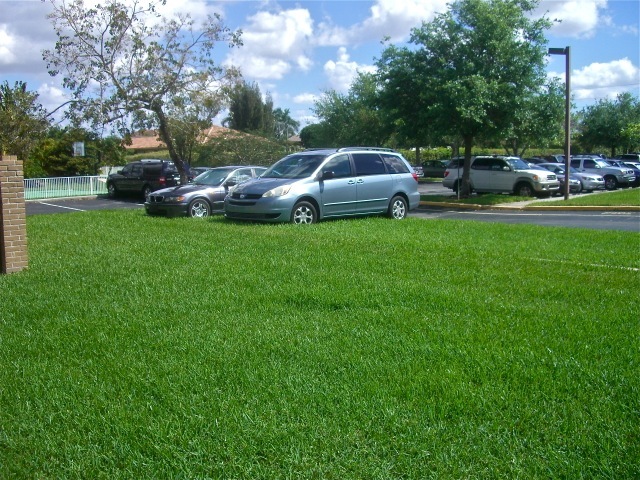 The Saint Augustine grass is so thick and tough that parking cars on it has no affect. Some 65 years ago my father planted St Augustine in our backyard in California. Within 5 years it had spread to our neighbors. It finally died when we build two houses on top of it. From Wikipedia: St. Augustine Grass or Buffalo Grass (Stenotaphrum secundatum) (also known as Charleston Grass in South Carolina) is a warm season lawn grass that is popular for use in tropical and subtropical regions. It is a medium to high maintenance grass that forms a thick, carpetlike lawn, crowding out most weeds and other grasses. I think that ‘most’ should read ‘all’ weeds and grasses. This entry was posted in Fort Lauderdale Mission on March 24, 2012 by Bill. 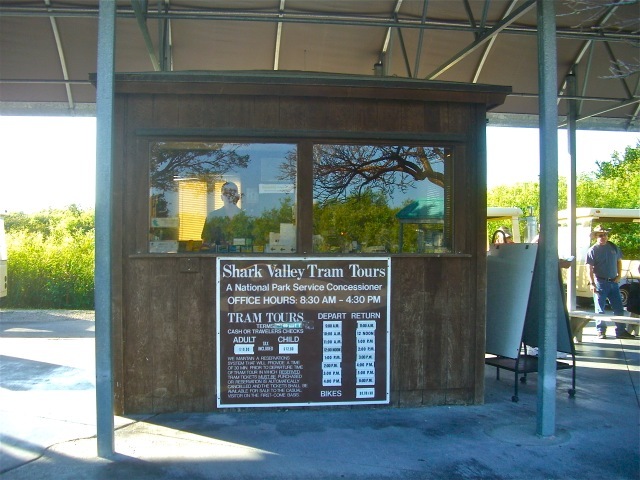 A group of the senior missionaries went on a p-day excursion to Shark Valley Everglade National Park which is the 3rd largest National Park in the lower 48 states. It was a very interesting and informative trip with a lot of wonderful missionaries. 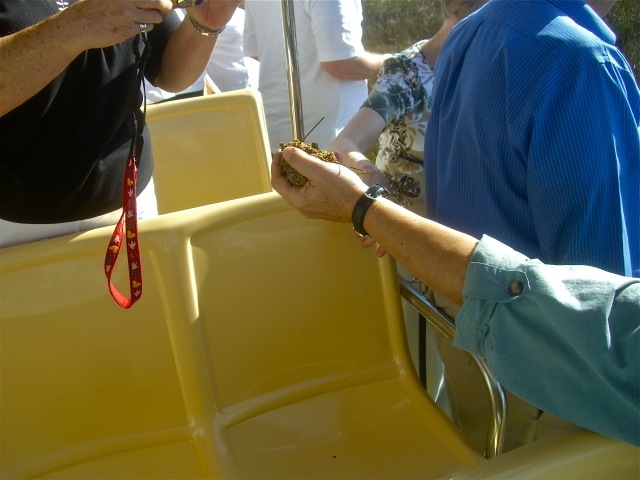 We went on a two hour tram ride with an excellent driver and tour guide. 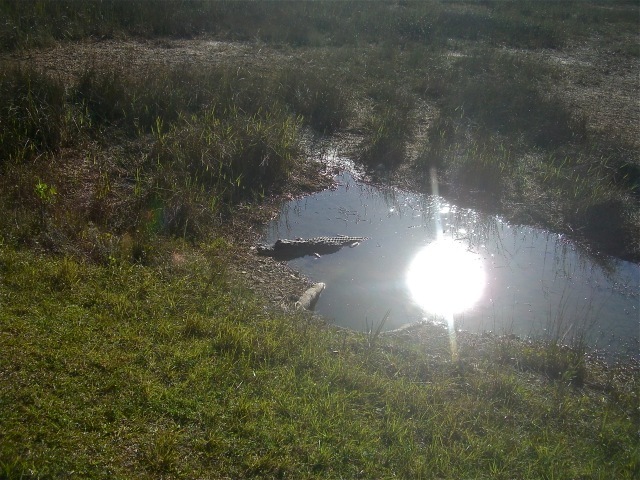 They knew almost every inch of the land we went though and where to find many of the alligators and birds. 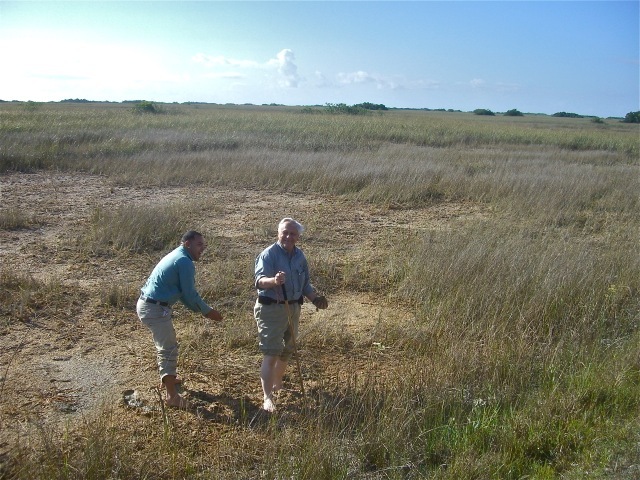 Along the way we made a stop in a bog area where there seemed to be a bog so he could show us periphyton, a basic building of the everglades. He said he was going out into the boggy looking area and bring some back. He asked if anyone wanted to go along. I thought he was kidding but asked if he meant it and he said yes. So I took off my shoes and socks and rolled up my pants and went with him. He did let me have his staff to help me not slip. The first part was hard because there were lots of small rocks that were not nice to my bare feet. 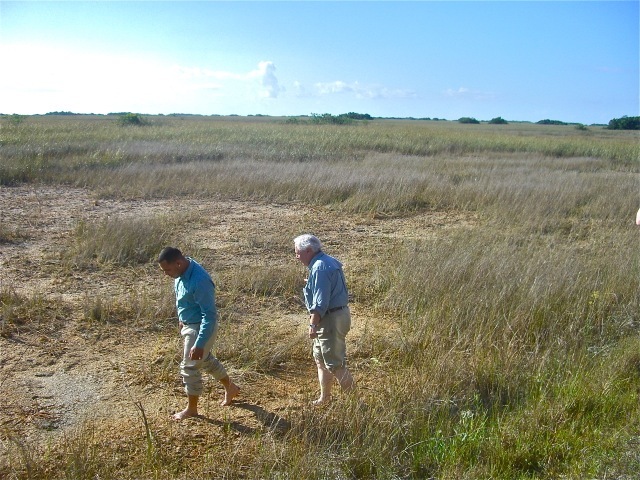 However once we got into the boggy area it felt good between my toes. The spongy periphyton did not smell bad and it was interesting to look at all the small things that were mixed up in it. 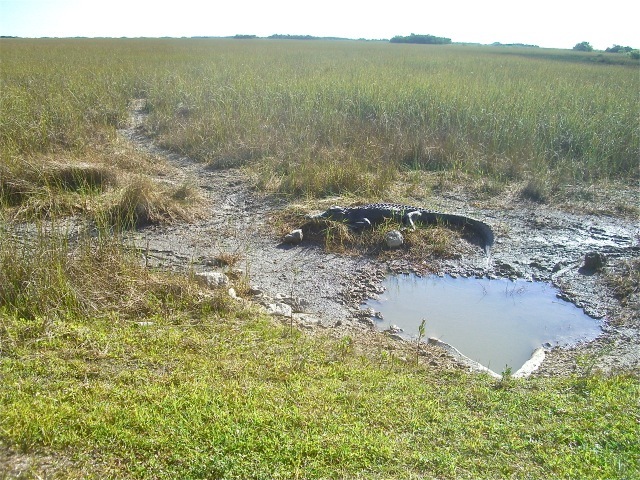 To think that this was a major part of the ecosystem of the huge everglade system. “Periphyton is the basic building block of marl, a calcitic mud. In areas with hydroperiods of longer than nine months, peat builds up over hundreds or thousands of years due to many generations of decaying plant matter. Peat and marl are considered nutrient-poor soils that foster the growth of specialized vegetation depending on the length of the regional hydroperiod.” Later I asked him how many times tourists took him up on his offer to go out with him and he said not very often. The first two pictures are Ahingas – the male – dark black with green on beak – is in the middle and the female – light brown – on the right. 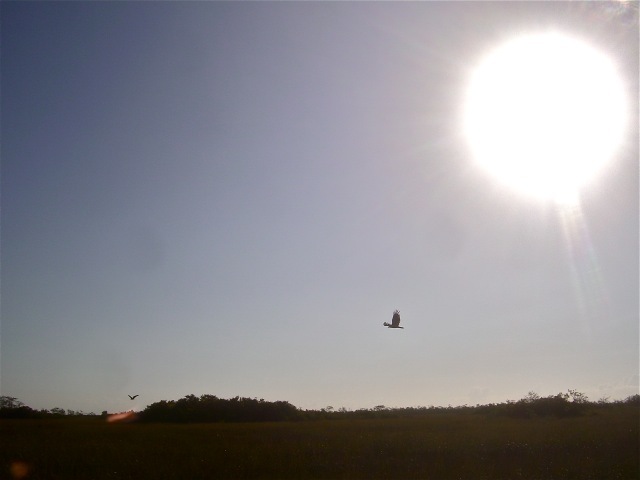 The birds spread their wings to regulate their body heat. 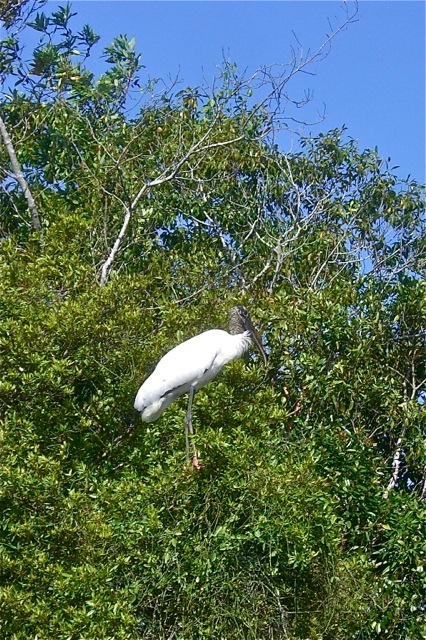 The wood stork on the right is quite large and striking with its white body and gray head. 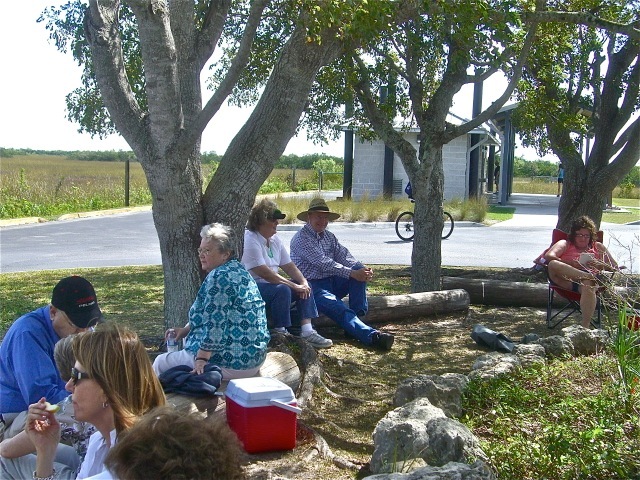 After the tour we bought some books on birds of Southern Florida and then all of us had lunch under the trees while sitting on logs. It was kind of like roughing it but it was also fun. The lady sitting in the chair in the last picture was sitting quietly reading when we invaded her space. 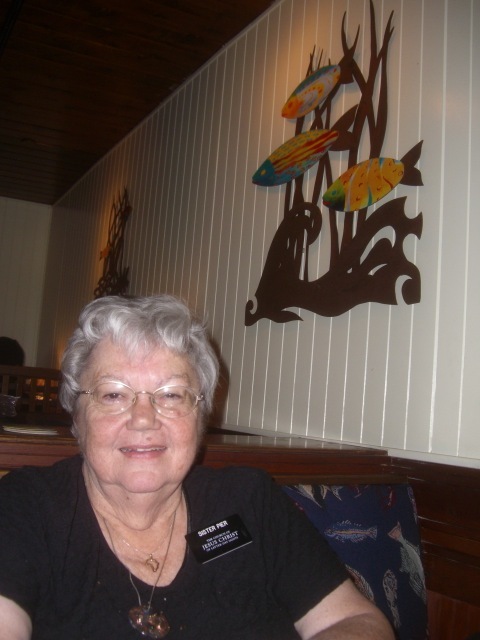 When elder Steimle gave her a pass along card with the temple on it, we found out that she had been to Salt Lake one time and as she drove into the city from the airport she got a speeding ticket that cost her $190 – she doubted if she would go back again. After lunch we loaded up the van and headed back to the office. However not before a stop along the way to solve a problem. Before we left the mission office this morning Elder Beagley got a call from a companionship saying that they had left their gas card in a car that Elder Evans exchanged with them last weekend. When I heard that they were in the Hollywood zone, I suggested that we since we would not be too far from them when we were coming home we meet them and let them have my gas card which I do not use very often. So sister Beagley called them as we were leaving the park and set up a meeting at one of the chapels. Everything went well and the elders now have a gas card so they can keep working. I tried to sleep on the way home and did manage to get a few winks but not as much as I would have liked. I made up for it after we got back to the apartment as did Mary. It was a good p-day outing and it was nice to be with some of the other couples and to share an adventure. 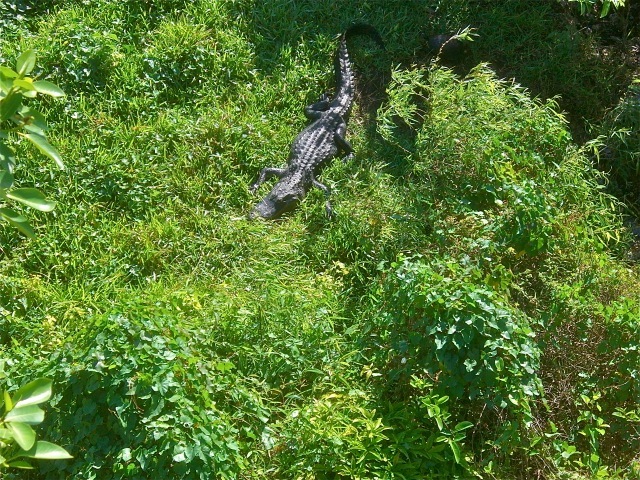 I would certainly suggest that anyone visiting Southern Florida go see this National Park and take the tour. It was well worth the money. This entry was posted in Fort Lauderdale Mission on March 18, 2012 by Bill. We went in about 8:00 and it was drizzling as we left the apartment. 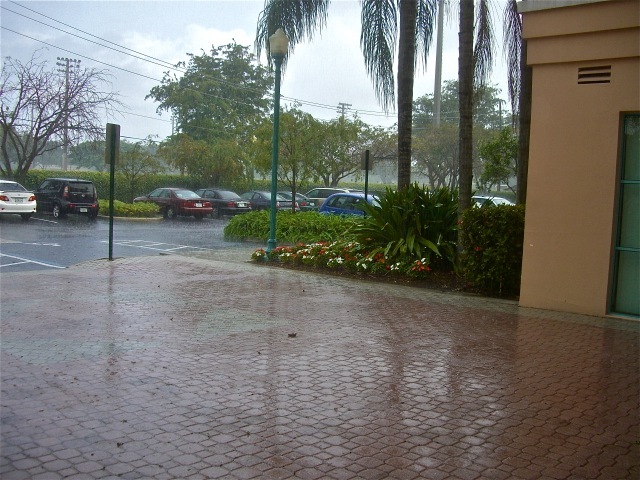 When we hit Broward and Pine Island it was pouring. Four blocks later at the office it was raining but not hard. About an hour later it poured down and I managed to take a picture. When we got back from lunch I took another picture from the same spot and it shows a blue sky and bone dry parking lot. 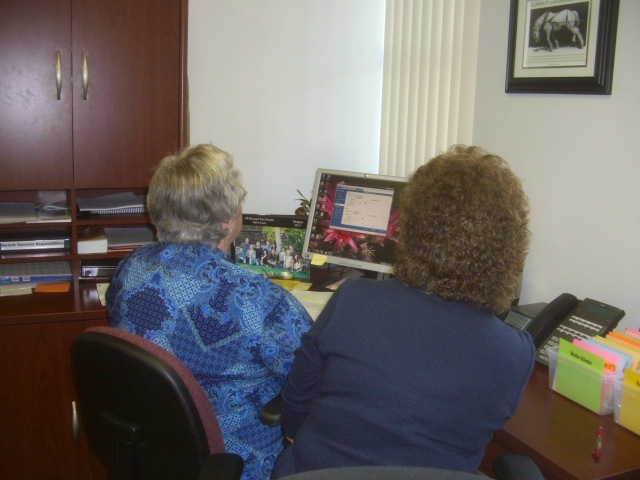 In the morning Mary worked with Sister Steimle in learning what she does as mission secretary. I did the same with Elder Steimle. The major problem of the morning was that a new elder came in yesterday and when he was placed out in Belle Glade he started a musical chair that changed a total of three companionships. So we had to first find out what the changes were and then to integrate those changes into Establishing Zion. Elder Gonzalez of the Presidency of the 70 came in this morning and two conferences were held in the afternoon. One out in Boynton Beach where about half the couples went and one in Miami Lakes where the rest of us went. We took a number of orders, some packages and two cars to the conference. 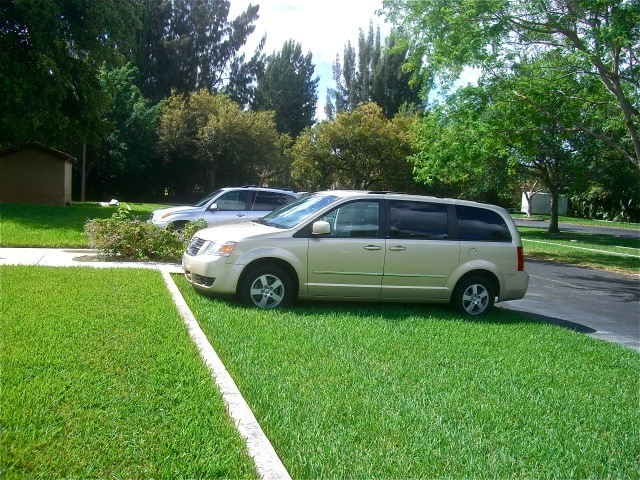 One of the cars was returning to the elders down in Key West after having some accident damage repaired. They had been setting in the parking lot of the chapel when the local sheriff pulled in and talked to them. As he was leaving he backed into their car. This is the second time in the last 3 months when a law enforcement officer has damaged one of our vehicles. The other car was to be used as a loaner for a pair of missionaries that had an accident when their car glanced off another car while they were changing lanes. Luckily it was only a glance and no one was hurt but it was certainly an avoidable accident. 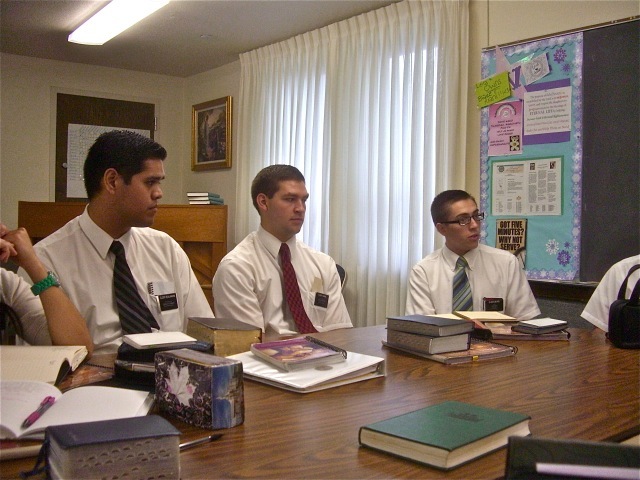 Elder Gonzalez gave some very relaxed but spiritual counsel to the missionaries including introducing them to a program where the wards and branches are going to be asked to provide members who will read the Book of Mormon with investigators and new members. All the missionaries got to shake hands with him except for myself because I was out getting the cars moved around. But that is OK because I was about my Father’s business. After the conference we stopped for dinner at McDonalds. Mary really liked the new chicken sandwich and as usual I enjoyed my Angus burger. After dinner we headed back to the office to exchange the damaged car for our van before heading home. As we pulled in to the parking lot the Sommerfeldts were just in front of us so we spent a few minutes talking about the day, the conference and the trip the senior couples were going to take tomorrow. 12 March 2012 – MondayWhen I woke at a little after 7:00 there was no light coming in the windows. This was a combination of daylight savings time and the fact that it is very overcast. It looks like it is going to rain all day but I imagine it will blow through and we will have some sunshine later. We had our staff meeting with the President in the morning. I found that I am now authorized to access the financial secretary’s section of iMos so I can pay bills and things even if elder Steimle is not present. I decided that I could make some excel programs that will make it easier to do the do the monthly gas card reports so I created a numerical list of gas cards, which cars they are tied to, which zone and district those cars should be in, and what the telephone number is for that district. Next month we will just have to check them off and those that are missing we can just call without looking up anything. 13 March 2012 – Tuesday we went to District Meeting. Elder Plowman moved it back to 10:30 and that is good for us. 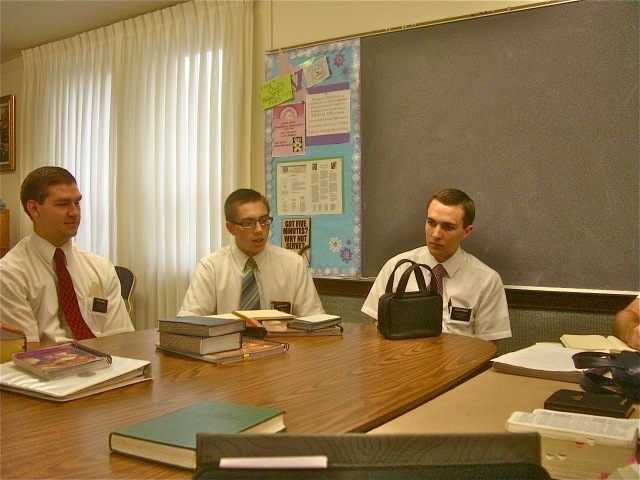 It was a small meeting because Elder Smoot and elder Wilson were not there. It seems elder Smoot got an ticket for illegal parking and had to appear in court today. So there were six missionaries and us. The meeting went well and some positive commitments were made. The district did well in blessings but they have no baptism dates and no one came to sacrament meeting…this is not good at all. For role playing Mary and I were investigators and the missionaries’ task was to get us to commit to coming to to sacrament meeting. As usual I responded to the spirit once they brought it in and accepted. I think the missionaries – at least the elders – find it a challenge to get me to accept because they know that if they do not bring in the spirit I will not go along just so they can be successful. The Zone Leaders elders Beard and Conger shares information with elder Plowman. 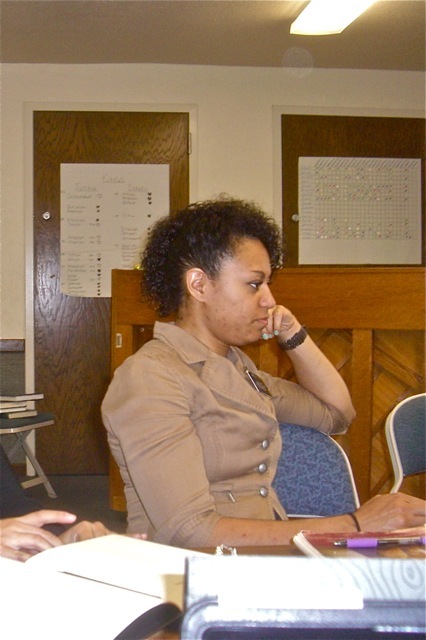 Sister Holder is paying close attention to what is being discussed. The rest of the week I continued to learn about Elder Steimle’s calling. I am becoming more comfortable about how to find things on his computer. I also kept tweaking my excel lists. I wish I was more proficient about how to use Excel and how to type but I get things done even if it takes more time than it should. Mary is also learning part of Elder Steimle’s job so we can work together if we end up taking the Steimle’s callings when they leave in July. I finally solved a problem with a phone that we gave to a new district. I learned a good lesson from this problem and think in the future I will be able to solve it immediately. I created a new Excel program that included all the phones in the mission including those in bike areas and the senior missionaries. Once I had all the info in I could make an numerical list of all the phone numbers and compare them with the phone report from Sprint. I was able to identify the numbers that were not being used – to make sure I called them. I found a couple of numbers that were assigned to couples that I had not recorded. By the time I was done I felt that I had a good list that I can use if we open a new area that needs a phone. I was surprised when I woke and the clock read 8:18 – it did not seem that I slept that late. But a little later Mary mentioned that all the clocks were wrong because it was the start of daylight savings time. However we found that except for the small clock and the atomic clock in the bedroom, all the clocks were correct. In fact the one on the kitchen stove which has always been an hour fast is now correct. As I prayed this morning I felt that the spirit was telling me that I needed to read the scriptures and not the Book of Mormon – which I read for Sunday School – but the New Testament because I needed to study and ponder Christ’s teachings and life. So I read the first four chapters of Matthew stopping just after he has called his first 4 apostles to come follow him. I wonder if I would have left my nets and followed him. But maybe in a way we have as we have left our home and come to Florida. I was reading an article in Church News about Elder and sister Oaks along with Elder and sister Hallstrom visiting Japan a year after the great tsunami. There was a picture of sister Hallstrom, who served a mission in Japan, giving a talk and I remembered her speaking to us in a conference in Indonesia. I could not remember what it was about only that I thought it was much better than Elder Hallstroms – at least I felt the spirit more. 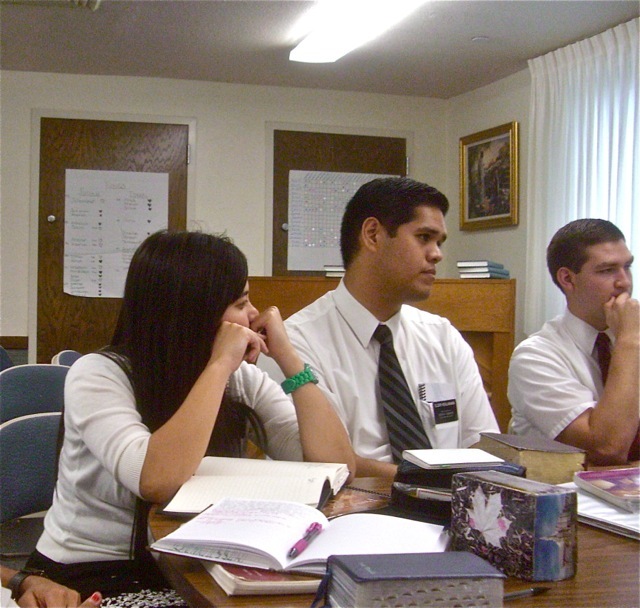 To find out what she spoke on – I thought it was her experiences in reading the Book of Mormon – I started looking through my blog posts from Indonesia. As I was reading, I was surprised to find that March 11, 2007 was also a Sunday. It was interesting to read about our experiences of that day and what I felt to write about. I decided that I would copy the post and re-post it for today. This was the last paragraph from that post with accents added today. It will be interesting to see what I write today. 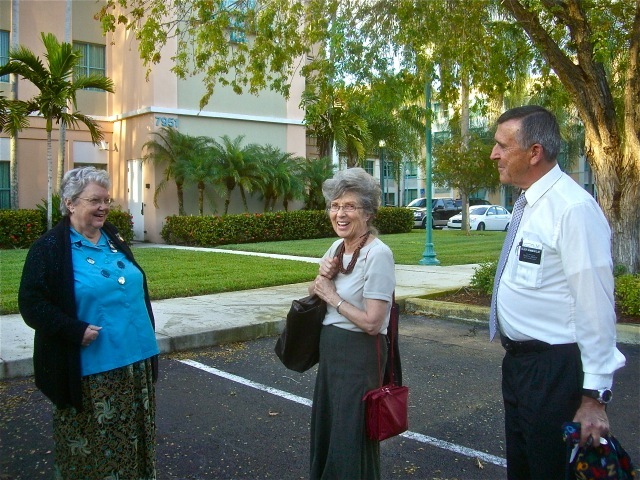 However I did not find the post about the conference where Elder and Sister Hallstrom spoke. I will try again later. 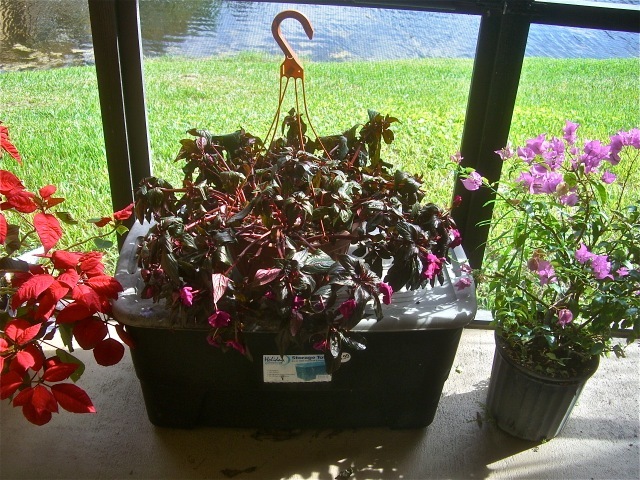 As I was typing the above Mary called out to tell me that the New Guinea impatiens were drooping from a lack of water. This has happened a number of times and luckily they always recover. This time I remembered to take a before – while they were drooping – and will take an after to show how they recover – if they recover. My bathroom reading for this morning was Elder Waddel’s conference talk on missionary work. As I read the paragraph below I thought of Adam George and felt that I should send it to him…not sure why but I did as the spirit suggested and hope Adam figures out why. We went to Weston Ward’s missionary meeting and as usual they spent all the time as they should – talking about people and how they are doing. All the converts were covered, less actives were discussed and reports of visits were made. Also plans on what more could be done to help the less actives and new converts. For sacrament there were four talks on Chastity and I think the best ones were given by the young brother Bartholomew and brother Johnson and new move in to the ward. The young man semi-read his talk but it was very well written and he did not actually ‘read’ his talk. Brother Johnson was the last speaker and did not have a lot of time so he gave a very compact but spiritual talk. He told a story about a large spiderweb outside his home that the spider rebuilt each time he took it down but in another place. He likened that to how Satan builds webs to trap us and if it does not work he tries another. Brother Packard taught a good SS lesson. While we were sitting in the chapel brother Draper – the second counselor in the bishopric – came and got Mary. She was official called as RS pianist. I pointed out to her that she was not really a member of the ward and that technically she probably could not be called but if they feel they want to do it that is OK also. Mary had one more experience today. During the opening exercises of Sacrament brother Silva held up a watch and said that it had been found in the chapel a month ago and if anyone lost one to come see him. We were pretty sure it was Mary’s that she lost 6 weeks or so ago and sure enough it was. So now she has 2 watches. Priesthood was a lot of fun and also spiritual. There were only 8 or 9 of us and so we pretty much sat around and talked to each other. Mainly about the temple and how it would be built. With about 15 minutes to go we started lesson 5 about the Priesthood and once again we pretty much just talked about the PH. The teacher suggested that perhaps we needed to make the receiving of the PH to be a more memorable thing and made some suggestions such as a plaque, a big party, etc. The rest of us thought that while a father should prepare his son and make sure they know how important it is, we did not think it should be come ceremonial at all. I pointed out that greatly appreciated the simplicity of gospel ordinances and yet how important and powerful they are. It was a good block meeting for me. 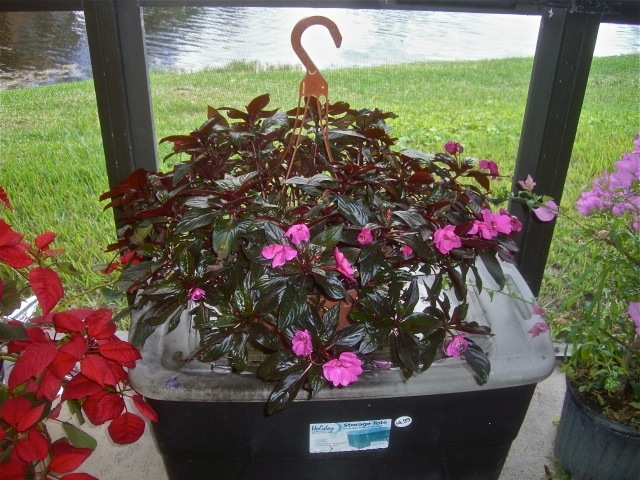 As I mentioned above my beautiful New Guinea impatiens started drooping this morning. I am pretty sure they looked fine a couple of hours before the first picture was taken so in a short time they went from being a beautiful plant to a dying mess. But within and hour after I watered them well they were once again standing up right and looking wonderful. I thought how sometimes we look to everyone like we are in good shape but because we are lacking the water of life – the gospel – and burdened down with sin we suddenly visibly droop. However after repenting and again keeping the commandments we can take the sacrament and we are soon we are again a ‘new creature.’ This is the great blessing of the atonement for which I am so thankful. 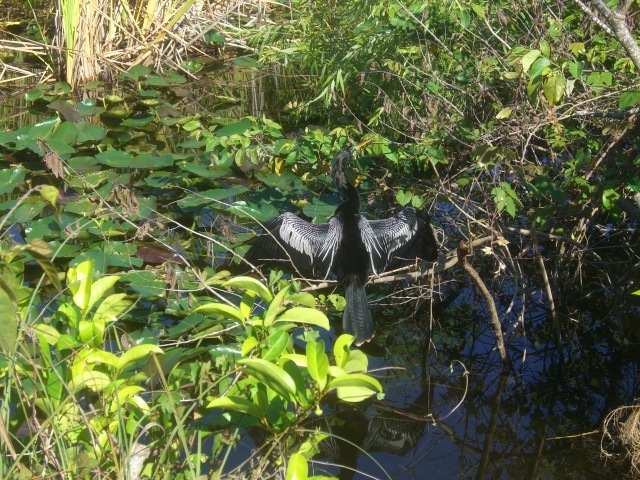 This entry was posted in Fort Lauderdale Mission on March 11, 2012 by Bill. As I have written a number of times, going to district meeting with the great young missionaries is often the highlight of our week. It gives us a spiritual boost and encourages us to be better missionaries ourselves. Today we learned a better door approach for harvesting, the need for being in harmony with our companion, and committed to only give a blessing on a house if the spirit was present. On the upper left we have elders Kealamakia, Hanna – who was visiting on a split with elder K – and elder Beard. In the middle one are elders Hanna, Beard and Conger – the last two are our excellent zone leaders. The picture on the upper right has sister Hong, with elders K and Hanna…notice how in this one and the lower right picture the elders and sister are resting their very tired and now spiritually filled heads on their hands. The last picture just shows the fruit on one of the palms near our apartment. After the meeting we went into the office where Mary worked on an excel program that elder Steimle asked her to make and I worked on another one that I thought he needed to make his and possibly in the future job as financial secretary easier. Mary is a whiz when it comes to excel and I am plodding my way through. I think I will get the Excel for Dummies book so I have some idea on what I am doing. I should have paid closer attention in the MTC to what Josh Ostler was trying to teach us. As a little side note, today was the first day that the Tiwi boxes I mentioned yesterday went into effect and of course Elder Beagley got calls all day from elders and sisters who had some problems with them. The main one seems to be with the logging in and out… but I am sure that most problems will work themselves out in the near future. 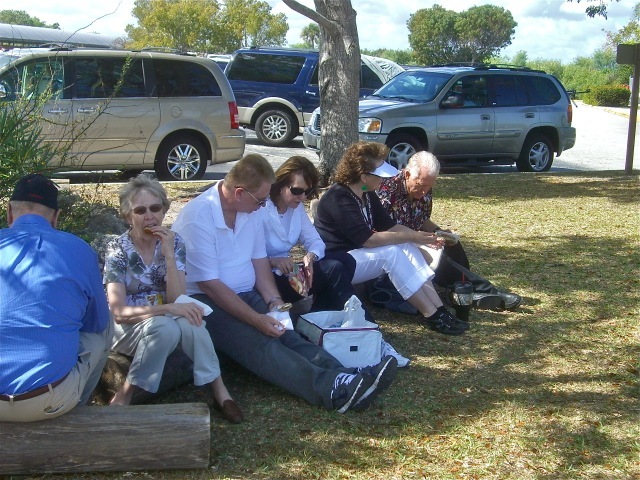 This entry was posted in Fort Lauderdale Mission on March 9, 2012 by Bill. The Florida Fort Lauderdale mission has been among those chosen to be a pilot mission for a program to hopefully help keep missionaries safer by improving their driving. The mission cars have had small boxes installed which monitors how the car is driven. This includes seat-belts being fastened, too quick starts and stops, driving over bumps too fast, and of course going over the speed limit. If the box registers one of these infractions, it vocally warns the driver and if a correction is not made then the violation is recorded and a record gets sent to the mission president. Today we went to Miami Lakes chapel for a conference where half of the mission learned about how the Tiwi boxes will work in their cars. Yesterday the Northern half of the mission had the same conference. The fact that the President took all of the missionaries out of their areas for at least half a day and in some cases a full day, shows how important this new program to improve driving safety is to this mission and in the future all the missions. The conference basically explained how the boxes worked, the reasons for them, and of course the consequences of not driving within the rules. Hopefully the missionaries will understand that it is their lives and the lives of others the Church is interested in and not in keeping the cars in good condition. During the conference the President played the video of Sid Going who was so good in school that he would have been selected to play on New Zealand’s professional soccer team. However he chose instead to go on a mission and was sent to Canada. When he got off his mission he did get a chance to play professional soccer and was so good that they actually re-set dates for soccer games because he would not play on Sunday. Steve Young was not that good! Each time I see this video I get teary eyed because I think of our grandsons who need to make or will need to make the decision to go or not to go on a mission. If they could just understand how important a mission is for their future, I am sure they would not hesitate regardless of what they think they will be giving up. But it their decision to make and we can just hope and pray they will make the right one. 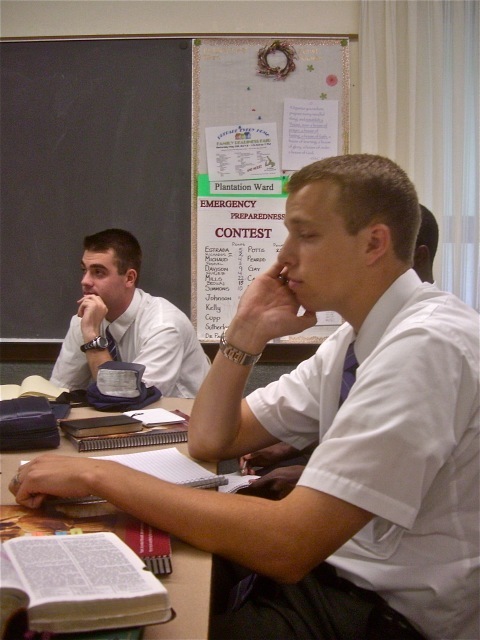 While writing about missions, I remembered that I received a call from former Elder Adam George who has now been safely back in Washington for a couple of weeks. I think he called just to say hi to whoever was in the office and since I was the only one…how strange was that…we had a really good talk.He has been accepted to BYU Provo so in a year or so we will be able to get back together. We talked about adjusting to life after a mission and he seems to be doing fine in that area. What a strength RMs can be if they use their skills and spirits in building up the kingdom wherever they are. 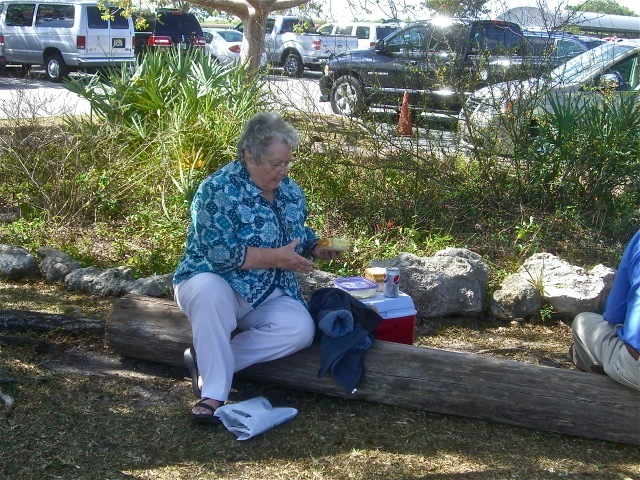 This entry was posted in Fort Lauderdale Mission on March 8, 2012 by Bill.